Too young for the classes at Seymour Center? Ask one of the post participants to serve as your technology mentor or tutor. We are very fortunate to have an Oral Military History Historian in our post. Rusty Edmister has been travelling throughout our district recording the oral histories of soldiers, sailors, marines, airmen and members of the Coast Guard for the North Carolina Archives. Nearly 200 veterans have sat down with Rusty to tell their story. Were you one of them? If not, you need to do this and do it soon. It is a very rewarding experience and you will see yourself as you have never seen yourself. Watching yourself shave in the mirror does not count! Your voice, voice inflections, mannerisms, habits, and body language will be in full view. You will laugh and smile at yourself as you watch the results of your interview. It is raw footage. No editing is done to make you look better or worse. You are as you are. That is one of the most important things about the interview for the North Carolina Archives. How is an oral history recording made? Rusty travels to your home or wherever you feel comfortable. You can sit down before the video camera in your favorite chair, on your front steps, in a porch swing, standing by your favorite tree, or anywhere else that make you comfortable. It is not the location he records, it is you. He will make you two copies for you and one for the archives. He will also make sure you have as many copies as you need to give to children and grandchildren. All copies are at no cost to you. Rusty pays for the cost as his contribution to North Carolina military history. So, “What are you waiting for?” Contact Rusty now. You can send him an email by clicking here. 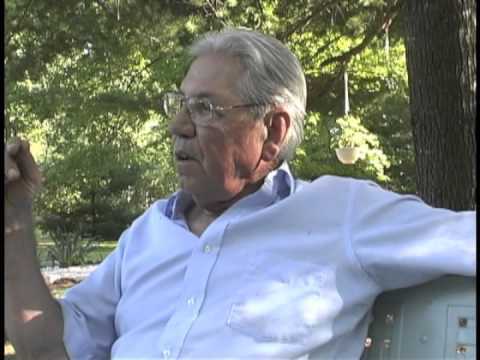 Here is sample video made of a veteran about his time in boot camp at Great Lakes in 1943. It was not recorded by Rusty. His recordings are not published on the internet. They go only to you and the North Carolina Archives. The trip to Normandy and France by East Chapel Hill High School students is on! The students are escorting two World War II veterans back to France so that they can participate in the final commemoration of D-Day. It is the 70th and final commemoration. “We have thankfully raised all the funds to bring Ed Chappell and Mark Sumner and their family member…we are so excited and have so much information to share!” said, Robin McMahon, project coordinator and former French teacher to the traveling students. This is their return trip to France for D-Day events. McMahon also announced that the town of Bastogne is going to give them a special medal ceremony at the World War II museum to honor Mark Sumner’s fighting at the Battle of the Bulge! The travelers will stay with local citizens during their week-long journey. We commend these dedicated students for their quest to ensure that some living veterans can return to Europe and trace their steps. From project conception, planning, fundraising and coordination with caring groups in both the local area and France, they did it all. Congratulations on a “Job Well Done!” We look forward to their sharing their experience with the post on their return. The annual Rougemont Parade is this Saturday, 19 April 2014. District 6 posts have served as the veterans contingent and carried the parade colors for many years. Our post is on its way to Rougemont and we ask that all members participate. Take a friend. Take your children and grandchildren. See small town America at its best. VFW Posts members line up at 10 am and the parade starts at 11 am. The parade is one mile long and veterans are in front. You’ll get to see everything in the parade as you will be first to the end. Rougemont has a small festival with food, rides, smiles, kids, and families everywhere. Arrive early and have fun with other veterans from Durham, Caswell, Person, and Orange Counties. Take your camera and capture the activities. This is the best event of Spring and starts off a steady succession of local parades where veterans are welcomed, honored, and saluted for their service to our Country. It’s a must do event. You’ll see manure wagons, lots of tractors, horses, old tyme cars and cars of the 1960’s and 70’s. Kids travel in all kinds of equipment, floats, wagons, bikes, carts, and more. Beauty Queens, local dignitaries, Ronald McDonald and the McMobile, and local County Sheriffs on motorcycles will lead the parade with lights flashing and horns blasting. Past District Commander B J Boak will have extra golf carts to carry veterans who can not walk the parade route. We need a few able bodied veterans to carry the post colors and national ensign. A porta-pottie is on station at the assembly area.